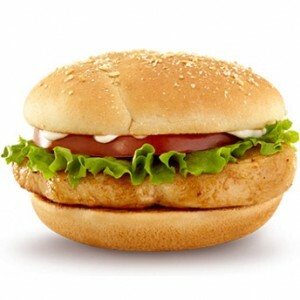 Chick-Fil-A has made the world’s best chicken sandwich ever since their founding in 1946. It’s perfectly crunchy, flavorful, and spicy. If you want to excite your palette even more, though, take a look at these hidden entrees on Chick-Fil-A’s secret menu. What is on the Chick-fil-A Secret Menu? This easy modification goes the extra mile to innovate how you enjoy a Spicy Chicken Sandwich at Chick-fil-A. It was designed as an even spicier alternative to the sandwich, giving an added challenge to veterans. 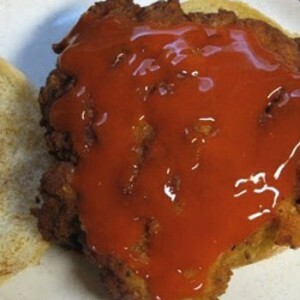 Just ask for Buffalo Sauce on a Spicy Chicken Sandwich and they will gladly oblige. It’s the perfect accent to a crispy patty – but don’t forget something to drink. Cost: $3.99 For those who want a Mexican twist from Chick-fil-A, see if your local branch will make the Chicken Quesadilla. 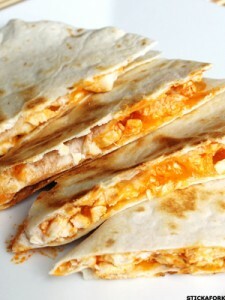 They pack tender chicken, tons of cheese, and sometimes even peppers into a flour tortilla for a delicious homemade quesadilla. This one is not so widespread, and the chances of getting your hands on one is much higher in the Southwest. No matter where you are, however, just ask, and you may be in for a delicious turn of events. For the health-conscious fried chicken eater, this is the holy grail of meals. It’s actually a really simple modification to the already established menu item, with a few vegetables on a fried chicken sandwich. Just ask for the Fried Chicken Club, and they should know how to make it. If not, just say you want vegetables on your fried chicken sandwich, and most of the time, they’ll oblige. Give it a try and eat your greens! 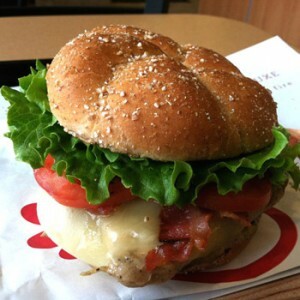 Get the classic charbroiled chicken sandwich at Chick-fil-A but with an added kick. An exciting option for the spicy food lover, this modification makes for some extra bite, easing the boredom from eating the original chicken sandwich. I’m all for tradition – spicy has never been of huge appeal to me, in all honesty – but there’s a great deal of people who feel otherwise and would relish the opportunity to tickle their tongue with a spicy chicken sandwich. Just ask for a spicy, char-broiled chicken patty instead of a regular one. They’ll swap them out and you can see what all the fire is about. Sometimes, when enjoying a vanilla milkshake, do you wish that you could savor the taste of blueberry cheesecake simultaneously? Do you ever find yourself desiring a way to consume blueberry cheesecake in liquid form? You’re in luck. Jack in the Box’s Blueberry Cheesecake Milkshake is the perfect recipe for someone who loves good cheesecake. Just ask for a blueberry cheesecake slice to be combined into the vanilla milkshake, and they seamlessly blend into a creamy delight. You don’t need to be a cheesecake fan to try this drink, too. Anyone will love this flavor-packed delicacy, so go try one next time you’re in! 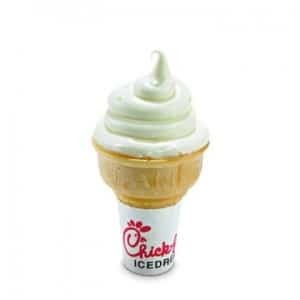 For the parents of the little guys, or just to anyone who’s indulging in Kids Meals at Chick-fil-A, wager your way to free ice cream. Say sorry to the child that wanted a new toy, but all is well. You receive an ice cream cone in return. This substitution may be enough to convince my investment in a Kids Meal next time I’m in. Just ask for the substitution, and land some “free” ice cream! 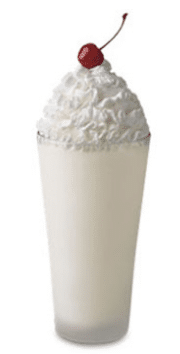 A strong competitor to In-n-Out’s Root Beer Float, Chick-fil-A’s version comes with a cool glass of root beer and creamy soft serve ice cream filled to the rim. Just ask for the root beer float, and if they really need the elaboration, tell them you want a scoop of vanilla ice cream added to your glass of root beer. Kick back and enjoy this delicious classic! 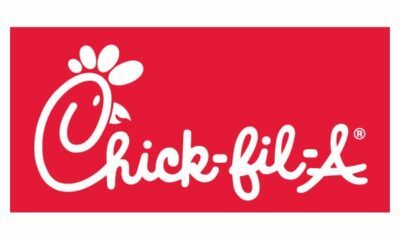 The list of entrees that Chick-fil-A keeps a secret is astounding – few know that you can order a quesadilla at Chick-fil-A. Explore it further and see what more that the Chick-fil-A secret menu has to offer.